1. What is a Widget? Widgets are an application, or a component of an interface, enabling users to access specific information easily. 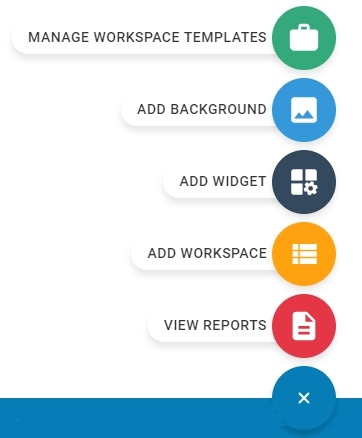 In Kanbanize, the option of adding various widgets to the Dashboard of your account allows you to get to the important information in the system, which concerns you and your team, immediately upon entry. They are an excellent starting point to guide you to the relevant areas of your account that might need your attention (i.e blocked or overdue cards). Widgets reside on the dashboard for quick access. In Kanbanize, there are two types of widgets: Predefined Widgets and Custom Widgets. 2. How to Add a Predefined Widget? First, click on the Retractable menu (the plus sign) in the bottom right corner of your dashboard -> select ADD WIDGET. Select the widget that you want to add to your Dashboard and click on the Add Widget button. The widget will instantly appear at the Dashboard of your account. 2.1 Cards Assigned To Me: it displays all cards (located in the Requested and In Progress columns), across all projects and boards, which are assigned to you. This will shorten the time you require to catch up to the tasks for which you are responsible. 2.2 Overdue Cards: it shows all the cards with passed deadlines, which are not in the columns Done or in the Archive. This widget is useful for both Account Owners and users because it gives an overview of the cards on the boards (to which the user has access) which were not completed on time. 2.3 Overdue Cards Assigned To Me: it displays all overdue cards, across all projects and boards, which are assigned to you (it shows only cards located in "Requested" and "In Progress" columns). 2.4 Blocked Cards Assigned To Me: it displays all blocked cards, across all projects and boards, which are assigned to you. 2.5 Process Efficiency: it displays how efficient your process is. Read about the Process Efficiency widget in the dedicated article. 2.6 Initiatives in Progress: it displays all selected boards in separate blue sections along with the corresponding Initiatives, which are currently in progress. You can add other boards to the widget using the Selected Boards option in the menu. 3. How to customize your Predefined Widget? 3.1Settings: You can edit your widget by refining/configuring the information that is displayed in the widget via the Advanced search panel capabilities. 3.2 Export: this option allows you to export the information from the Widget in an Excel file. 3.3 Rename: Select Rename to change the name of the Widget -> type the new name in the Widget name filed -> click on Rename. 3.4 Switch to Half-View: Reduce the size of the widget to make space for more widgets on your dashboard by clicking on Switch to Half-View. Click on Switch to Full-View to expand the widget again. 3.5 Remove: If you do not need the widget on your Main Dashboard anymore -> select Remove. 4. How to refresh your widget? The information in the widgets is refreshed automatically once a day, but you can do it manually at any time with the refresh button, located at the upper right corner of the selected widget. Please, read the dedicated article to find out how to create a custom widget.